It's National Cancer Control Month! Learn how incorporating superfoods in your diet can help with cancer prevention. As of March 28th, April 2013 was proclaimed as National Cancer Control Month in the hopes of our society pulling together to raise awareness of what American’s can do to prevent and control cancer. There are many basics like exercising regularly, using sun protection, and “eating healthier” to help with these preventions. What is “eating healthier” these days? According to some recent breakthroughs on the City of Hope website, tying more superfoods into your diet can help in many ways to help prevent cancer. The term Superfood is used to describe food with high nutrient or phytochemical content that may confer health benefits, with few properties considered to be negative. Apples, Pears and Cherries are all considered Superfoods and/or Superfruits! Studies over many years have been done concerning apples and different types of cancers. 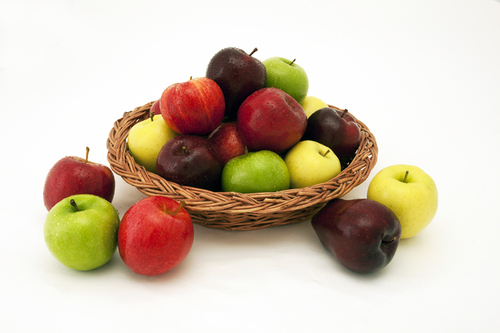 Online you will find that apples may help prevent cancers of the throat, mouth, colon, prostate, lungs and breasts. The secret is that Apples contain a high quantity of Polyphenos, a powerful anti-oxidant. They also have several phytochemicals (http://en.wikipedia.org/wiki/Phytochemical) including flavonoids like catechins and flavonols along with phenolic acids which have all been linked to fighting and/or preventing cancers. Apples also contain vitamin c and dietary fiber which in several ways lower the risk of cancers as well. Please click on the following link to see some research done by the American Institute for Cancer Research on Apples in particular http://www.aicr.org/foods-that-fight-cancer/apples.html#research. Pears have also been found to help in preventing stomach cancers as well as reducing the risk of lung cancer. 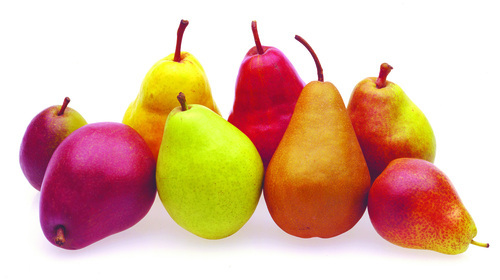 Pears are higher in fiber than many other fruits which also plays a high roll in digestion and colon health. Pears have hydroxycinnamic acid, which are a class of polyphenols and are hydroxyl derivatives of cinnamic acid; http://en.wikipedia.org/wiki/Cinnamic_acid. The high vitamin C and copper content act as good antioxidants that protect cells from damage by free radicals. Check out some of the data and research done by the food channel network to find out how beneficial Pear consumption is http://www.foodchannel.com/articles/article/the-benefits-of-pears/ . 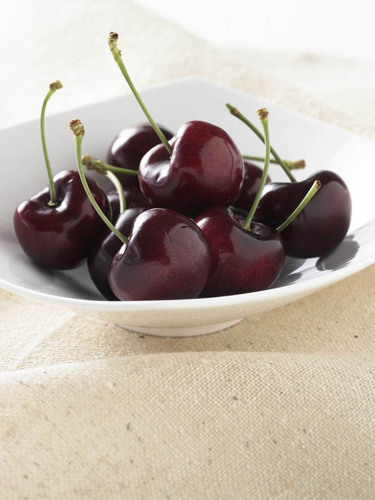 Cherries contain numerous phytochemicals and nutrients, dietary fiber, vitamin C, and the most inspiring compound of anthocyanins (http://en.wikipedia.org/wiki/Anthocyanin ). In laboratory studies, anthocyanins inhibit the growth of cancer cells and stimulate their self-destruction, without affecting healthy cells. These compounds also show anti-inflammatory and strong antioxidant effects. 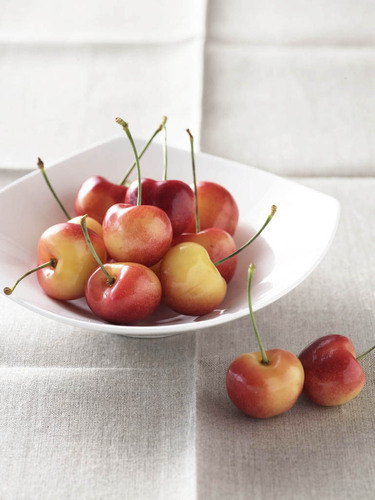 Cherries may prevent cancers of the mouth, pharynx, larynx, esophagus, lungs and stomach. To learn more on how beneficial Cherry consumption is, please see this research done by American Institute for Cancer Research http://www.aicr.org/foods-that-fight-cancer/cherries.html#research . Borton Fruit strives on growing, packing, and shipping products that are beneficial to our consumers in so many ways. How many Apples, Pears and Cherries have you consumed lately?